Here are the list Best BlueHost Alternatives worth considering in 2019. FastComet is certainly one of the best alternatives to BlueHost. 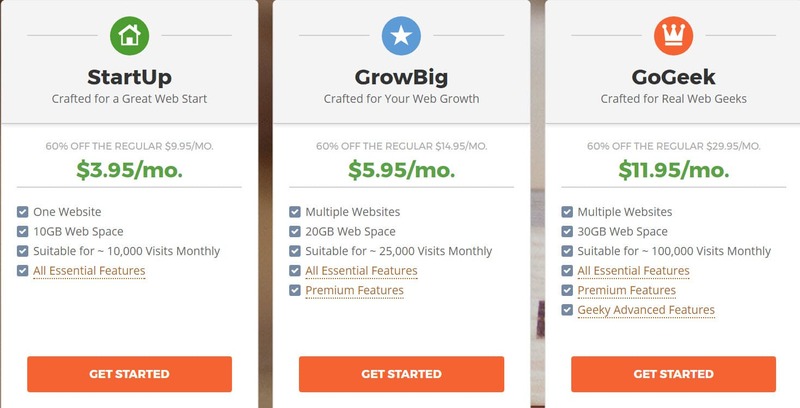 Ever since this hosting company started, it has been offering brilliant features without any upsells. I have checked the uptime at various points for my WordPress site hosted on FastComet. Interestingly, it is never below 99.9%. Over the years, I found this hosting company to be highly reliable when it comes to uptime. Most often the FastComet Response time is between the range 400-500 ms. However, when we checked it recently, we found it to be getting even lower which means sites, now will load faster than before with FastComet hosting. The FastComet customer Support is unbelievably fast with their round the clock assistance. Whenever I contacted this Customer Support, I have always found it to be pretty friendly and fast with their support. FastComet offers a free Domain forever with its every plan with over 10 domain extensions to choose from including .COM, .ORG and .NET. Also, the free domain will be renewed for free every year as long as you want to use it. 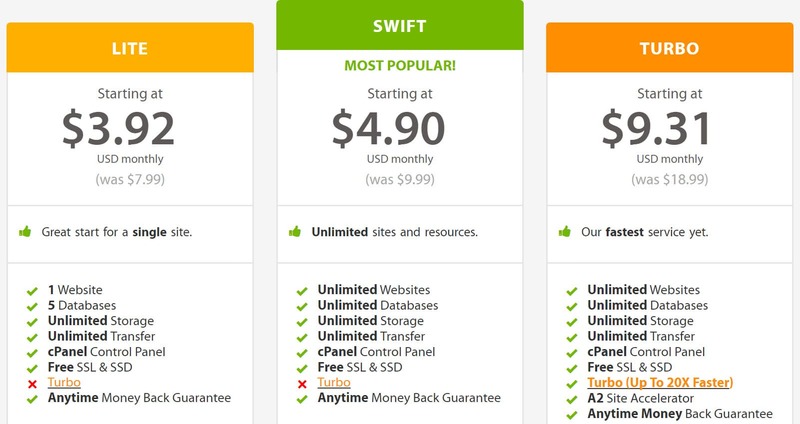 While many of the hosting companies actually have higher renewal price for their hosting products, FastComet has the same renewal price throughout. This certainly makes it one of the best BlueHost Alternatives. Just as in any other hosting company, FastComet offers limited resources on Starter plans but you can always upgrade your current plan as per your requirement. If you opt for monthly billing, you will need to pay a one-time setup fee of $19.95 during the first billing. SiteGround is one of the best BlueHost Alternatives and there are many reasons for it. SiteGround is not only an old hosting company but also, it is a Company that is well known for its reliable and powerful hosting features. However, I thought of testing it in the most appropriate way and this is what I found. I monitored our demo sites on SiteGround every 60 seconds for downtime and we are simply awestruck by the results. Interestingly, I found the sites running at a consistent uptime of 99.99%. This is probably one of the reasons that make it one of the best alternatives to BlueHost. As I tested our demo sites, we found the response time constantly between 300-400 ms which is certainly great for any websites to have a brilliant performance. There’s hardly any other hosting company that offers such a brilliant page loading speed. I tried contacting the SiteGround Customer Support a couple of times and interestingly, I was taken aback by their brilliant professionalism as well as expertise. It didn’t take long to reach the support. Also, I found them to be pretty friendly and helpful. SiteGround offers 5 Datacenter Locations to choose from and the 5 locations include Chicago, London, Amsterdam, Milan, and Singapore. Hence, one can easily choose the best Datacenter that is most suitable to reach out to one's target audience. SiteGround has the perfect mix of the best technologies that comprise Linux containers, SSD Hosting, Nginx, SuperCacher, HTTP/2 and PHP 7 to ensure the best security and performance for the websites. The only downside that I noticed in SiteGround is the high renewal price for the hosting plans. If you are looking for some great BlueHost Alternatives, you ought to try A2 Hosting as it offers a perfect blend of affordable pricing and powerful features. Despite the fact that it is quite a new name in web hosting, the Company has performed brilliantly over the past few years. We did our testing with A2 Hosting and reached some amazing conclusions. As we tested the response time of A2 Hosting, I was actually stunned as the results were simply unbelievable and it was much ahead of its competitors in terms of the response time. I found the response time to be around 172 ms even without Turbo servers. This makes it one of the amazing BlueHost Alternatives. Although a lot of hosting companies claim to have an uptime of 100%, it’s not worth believing without a proper testing. However, as we tested the uptime of our demo sites for every 60 seconds, we found it almost close to 99.99%. A2 Hosting undoubtedly has a very dedicated Customer Support and every time I contacted them, I have always found them to pretty helpful and friendly. Also, even at times when there are too many queries in the queue, they would politely ask the customers to wait. A2 Hosting offers users three different Datacenter locations to choose from; USA – Michigan, Europe – Amsterdam and Asia – Singapore. A2 Hosting’s commitment towards its customers as well as its confidence certainly knows no limit and it is clearly indicated by its policy of Anytime Money Back Guarantee. It is obviously one of the best BlueHost Alternatives. . When it comes to renewal, the renewal price is a bit high. However, if we consider the features every penny you spend on it surely worth it. Are you looking for BlueHost Alternatives? Well, then TMDHosting is certainly great option to try out. There are many reasons for it as well. Despite being a fairly new hosting Company, TMDHosting has done a remarkable job so far and on top of that, it offers brilliant features at a pretty affordable price. Considering the increasing popularity of TMDHosting, I thought of testing if it really is that good and I reached to some stunning conclusions. TMDHosting certainly offers a brilliant pricing and the plans are pretty affordable. Also, if we see it from the point of view of the kind of features, the pricing seems to be pretty justified. 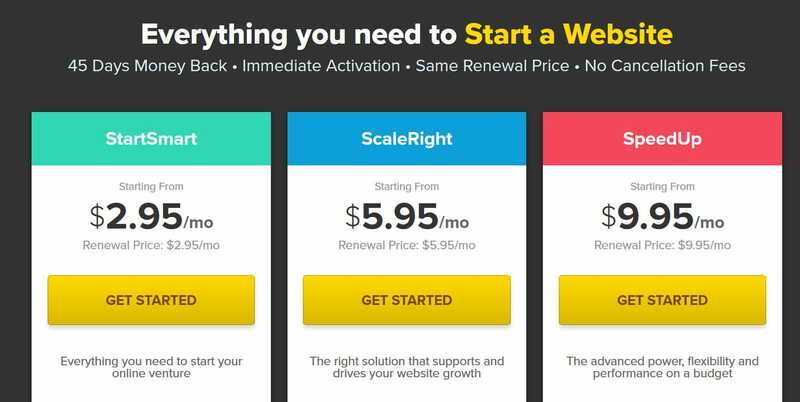 On top of that, it offers a 60 days money back guarantee offer while most of the other hosting companies actually offer a 30 days money back guarantee only. TMDHosting offers an amazing round the clock assistance via chat, email, phone, and ticketing. As a matter of fact, it is commendable about the way it resolves the various technical difficulties in merely a few minutes. I had to contact the TMDHosting customer care a couple of times and the experience has been simply awesome. TMDHosting server is maintained by the leading SLA, SingleHop and that’s the reason why probably, there’s no downtime. However, I have had my testing on my demo sites hosted on TMDHosting and the results were just outstanding. It offers a pretty favorable hosting environment which is lightweight and has enhanced security to keep you out of every possible worry pertaining to your site security. Also, it offers an excellent tool called the CloudLinux for provide the sensitive files with further security. The TMDHosting cPanel helps users manage their hosting accounts with having to face the slightest difficulty. It merely takes a couple of minutes to get used to and using the cPanel, users can have an excellent control over their hosting accounts. As I tested my demo sites on TMDHosting, I was a bit disappointed to find that the load time is lower than many popular hosting companies and this is certainly an aspect that this hosting company should work on. GreenGeeks is certainly one of the best BlueHost Alternatives to look for as it offers brilliant features for every website category. I bought GreenGeeks hosting in the recent past for the purpose of hosting demo sites. Load time is quite a crucial factor for the success of any website. A website should not take more than 2 seconds to load else chances are that the visitors will abandon the website. GreenGeeks has a perfect blend of all the excellent Speed Technologies SSD Hard Drives, Fast Servers, Built-in Caching, CDN Services, HTTP/2, and PHP 7. As I tested my demo sites hosted on GreenGeeks, I found the uptime to be consistently good and one of the important reasons for it is certainly the proactive server monitoring by the GreenGeeks experts. GreenGeeks certainly has one of the best Customer Support with the 24X7 phone, email and chat assistance. Also, it is quite easy to reach them out and the Customer Support team is competent enough to resolve the issues of the customers in no time. Almost all the hosting plans of GreenGeek have a variety of excellent eCommerce features and one of such features is obviously the free Let’s Encrypt Wildcard SSL certificate. The only downside that GreenGeek has is the high renewal price.